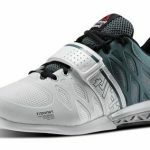 The Inov-8 FastLift 335 is the British company’s entry into the weightlifting shoe market. I have not heard much about this company prior to checking out the shoe so it was very interesting to research. It seems to fit the bill for most people who have ordered it with a lot of favorable reviews, so how does it stack up for an intense CrossFit work out? Let’s find out! 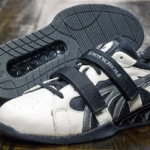 This shoe is going to be more flexible in the fore-foot than a standard shoe for weightlifting because of its design. 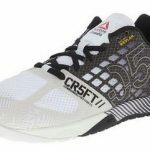 It has a a great heel ‘truss’ design normally seen in more expensive shoes for stability so it will not compress under heavy loads and provide the support you need for squatting and deadlifts. With a heel height of .75 inches, it is even more designed for weightlifting movements than some shoes purely designed for it! What is essential about this shoe to me is that it has a forefoot strap for that extra tight fit that some cross-training shoes tend to lack. I am always a fan of the forefoot strap, and if a shoe has two it’s even better! The stability the strap adds while doing high movement workouts gives you confidence that you won’t lose your footing or slide around, which is all too common in shoes not designed for weightlifting. It’s got that X-factor going for it because of the combination of features it has that I mentioned in the previous paragraph. Which is important because it needs to do a good job at a lot of things to be considered a good buy with how diverse the needs are that CrossFit can demand. I want to talk about build quality too. 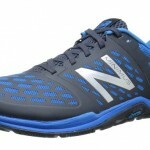 Inov 8 uses top of the line synthetic materials to produce a top of the line shoe. 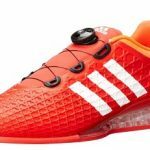 The heel is made of TPU, the same as more expensive lifting shoes like the Romaleos or the Adipower. It is very light compared to most lifting shoes out there. However, being made for movement it sacrifices a little bit of the stability you would get with a shoe dedicated purely to weightlifting. I wouldn’t recommend a shoe like this for extended running though, as it’s not the designed purpose of the shoe to provide that kind of support. But for box jumps, burpees, and quick sprints? It can handle those and more with ease. The Inov 8 Fastlift 335 has a good variety of different color selections to choose from with a solid sole pattern to give you traction on the concrete/rubber floors that most gyms have. Take a look at the sole and you will see what I mean, grip will definitely not be an issue! 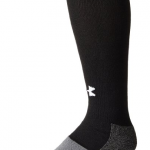 There is also plenty of toe space so they are comfortable to wear, compared to more narrow lifting shoes. Always be aware of the toe profile of any weight lifting shoe that you are looking into buying. My personal preference is for a wider toe space because my foot is wider than it is narrow and that shape provides me more stability and comfort when I am lifting. Generally speaking the toe box is going to be wide for stability purposes on most of them. The Fastlift 335 is the go to choice if you are looking for versatility in what a pair of weightlifting shoes can do. 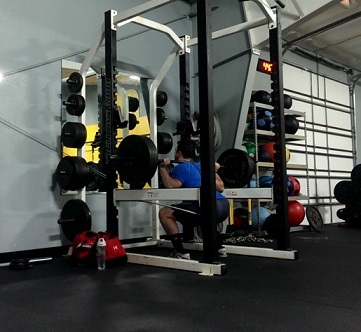 These are designed for action and not just compound or olympic lifts. You will crush fast paced exercises like box jumps, and still squat like a champ. The .75″ heel is a great height if your ankle mobility isn’t quite up to par and provides the stability you need during heavy lifts. If you are looking for a great shoe capable of handling almost anything, go with the Fastlift 335.